Despite an abundance of mineral wealth, Guinea's people are among the poorest in West Africa. The country has rich deposits of bauxite, diamonds and gold, but due to political instability and a lack of infrastructure, little of this wealth reaches Guinea's population. Médecins Sans Frontières first began working in Guinea in 1984. Teams are involved in improving access to medical services and developing innovative models of care in a country whose already fragile health system was severely impacted by the 2014–2016 Ebola epidemic. Ruled by strong-arm leaders for much of the time since its independence from France in 1958, Guinea has been a bulwark against instability in neighbouring Liberia, Sierra Leone and Ivory Coast. However, it has also been implicated in the conflicts that have ravaged the region. 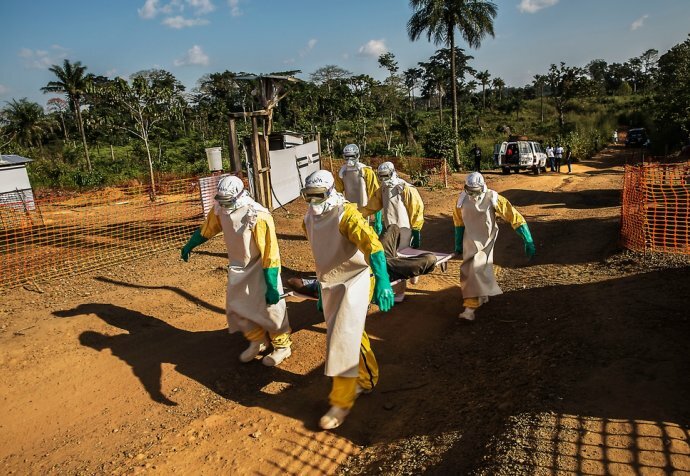 Along with Sierra Leone and Liberia, Guinea was pushed to the forefront of the world stage in 2014 as a result of the devastating Ebola outbreak - originating in Guinea itself. 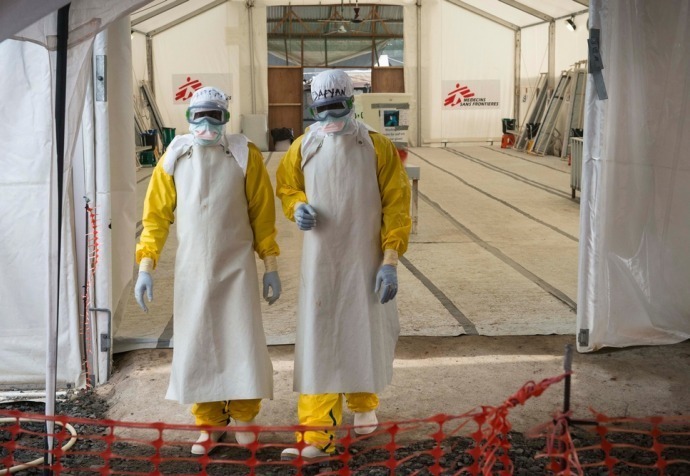 During the Ebola outbreak, MSF admitted 10,310 patients to its Ebola management centres. 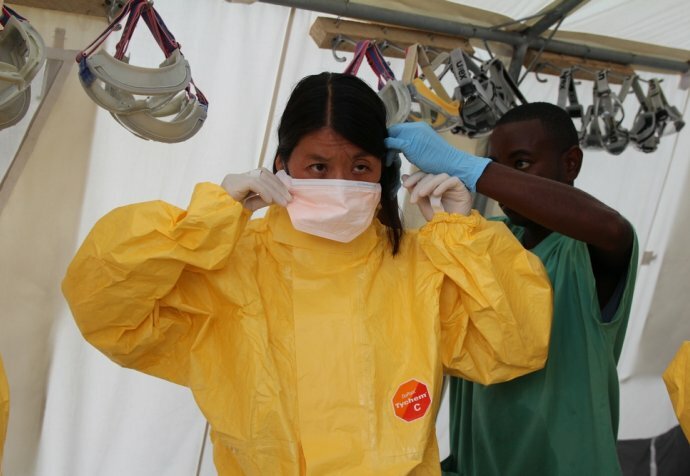 5,201 were confirmed Ebola cases, representing one-third of all WHO-confirmed cases. Our teams also treated 354 people indirectly affected by the epidemic, such as family members of victims. These activities were both medical and psychological, assisting those suffering from depression and post-traumatic stress disorder. Over 18,000 people benefited from information sessions designed to reduce the stigma still affecting Ebola survivors. While Guinea has a relatively low prevalence of HIV - at around 1.7% - the country has one of the worst treatment coverage rates in the world, with only one in four people living with HIV receiving antiretrovirals (ARVs). MSF works in collaboration with the Ministry of Health and offers support for thousands of people living with HIV. The project offers HIV testing, treatment and follow-up services, as well as health promotion activities, in six health centres in the capital Conakry. People living with HIV in Guinea have difficulty accessing antiretrovirals (ARVs) for treatment, as supplies are frequently disrupted. MSF works in collaboration with the Ministry of Health and offers support for thousands of people living with HIV. The project offers HIV testing, treatment and follow-up services, as well as health promotion activities, in several health centres in the capital Conakry, including assistance for HIV positive mothers, prophylaxis and Early Infant Diagnosis (EID) for newborns, and initiation of HIV positive children onto Antiretroviral Therapy (ART). We provide medical care for thousands of people living with HIV, including drugs for opportunistic infections, laboratory tests and psychosocial support. Since December 2016, MSF has also been supporting a 31-bed unit in Donka hospital that provides specialised inpatient care. MSF is active in Kouroussa, in northeastern Guinea, where malaria is the leading cause of mortality. We aim to develop models of community care targeting children under five years of age that can be adapted to this rural area. Together with of the Guinean ministry of Health, MSF has undertaken a large-scale measles vaccination campaign in Conakry, targeting all children from 6 months up to 10 years old. 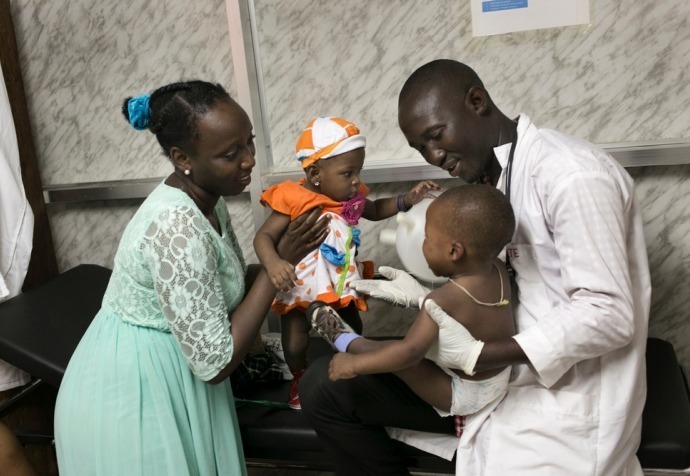 MSF also supports 30 health centres in Conakry to care for children suffering from mild cases of measles.